Smooth + soothe + glow. 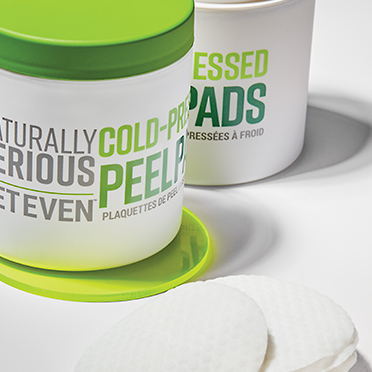 Stay calm and glow on with gentle-yet-effective peel pads that naturally exfoliate with pomengrate enzyme and skin-smoothing oleic, palmitic and linoleic fatty acids. Helps soothe and hydrate the look of skin with colloidal oatmeal and sodium PCA. Utilizes a patented Anti-Pollution Blend of 6 anti-oxidants (pomegranate, goji berry, grape seed, green tea, red tea and white tea) to help combat visible signs of aging caused by UV rays, pollution, free radical damage and other environmental aggressors. An exclusive Active Rescue Complex (edelweiss, imperatoria, swiss stone pine and ViaPure Coleus) leaves skin appearing radiant, healthy and even-toned. Works to gently and naturally exfoliate skin and increase cell renewal for a smoother, brighter-looking complexion. Help improve the look of skin texture for a smoother, younger-looking appearance. Formulated without heat, helps to maintain the optimal potency, quality, and efficacy of the ingredients. Water/Aqua/Eau, Propanediol, Glycerin, Aspalathus Linearis Leaf Extract, Camellia Sinensis Leaf Extract, Lycium Barbarum Fruit Extract, Punica Granatum Extract, Vitis Vinifera (Grape) Seed Extract, Leuconostoc/Radish Root Ferment Filtrate, Lactobacillus/Punica Granatum Fruit Ferment Extract, Pinus Cembra Wood Extract, Colloidal Oatmeal, Tocopherol, Sodium PCA, Coleus Barbatus Root Extract, Leontopodium Alpinum Extract, Peucedanum Ostruthium Leaf Extract, Trehalose, Caprylic/Capric Triglyceride, Maltodextrin, Linoleic Acid, Lecithin, Phytosteryl Canola Glycerides, Oleic Acid, Palmitic Acid, Stearic Acid, Triolein, Pentylene Glycol, Phenethyl Alcohol, Limonene, Linalool, Citral, Citronellol, Geraniol, Fragrance/Parfum*. 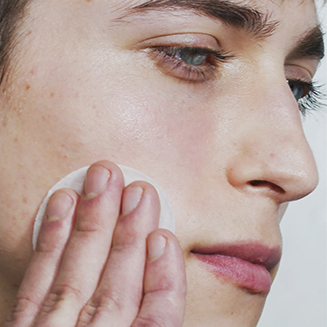 Apply to clean, dry skin in the A.M. and/or P.M., for instant resurfacing and powerful results.